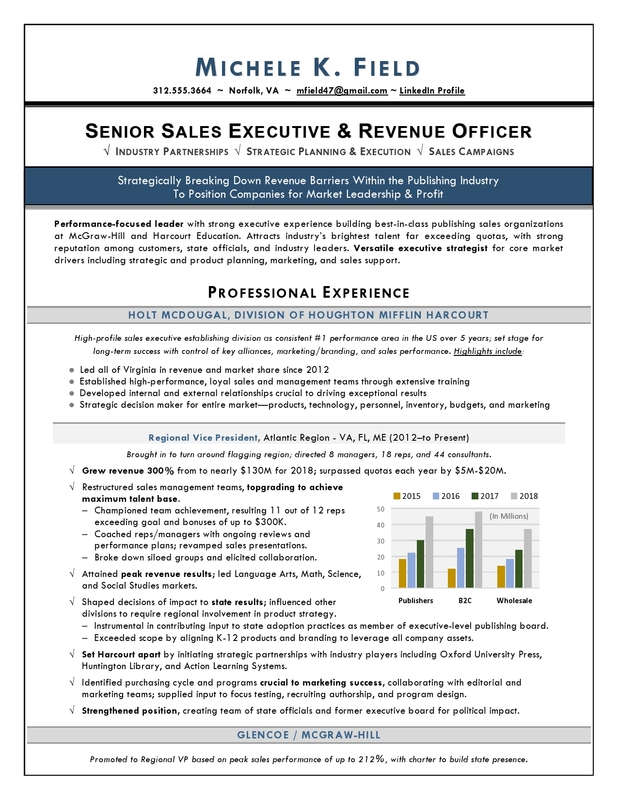 This Regional VP of Sales landed a choice opportunity in the publishing industry almost immediately. Want results like these? Schedule time with me for a personal review of your goals. My writing services include hidden job market guidance and LinkedIn strategies that WORK. 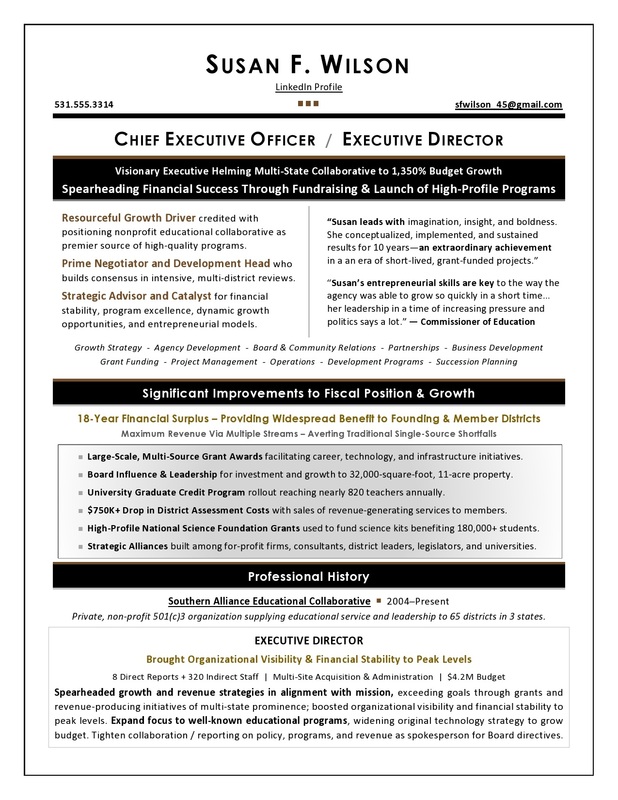 The first page of this interview-winning, real-life Regional VP Sales resume is shown below. When you work with me, you get personalized service tailored to your needs from a Certified Professional Writer and former recruiter – rated the top award-winning resume writer for 11 years. My high success rate comes from years in recruiting, coupled with an analytical approach and a journalist’s eye applied to your resume and LinkedIn Profile. Contact me to find out how to win more interviews with my expert career marketing services. 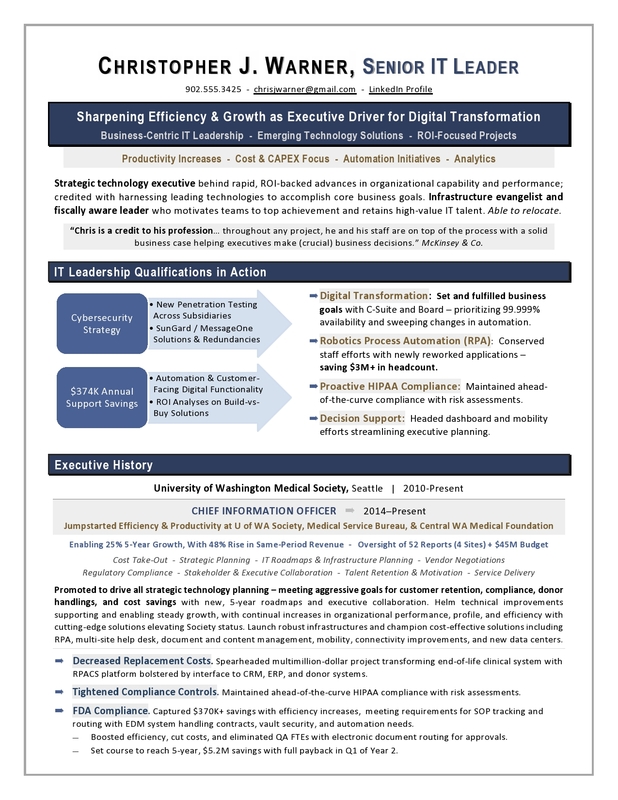 My executive resume services are designed for EVP, RVP, SVP, VP, Director, Chief Revenue Officer, and Business Development leadership candidates. I work one-on-one with you to form a compelling personal brand message in your executive resume, bio, and LinkedIn Profile.